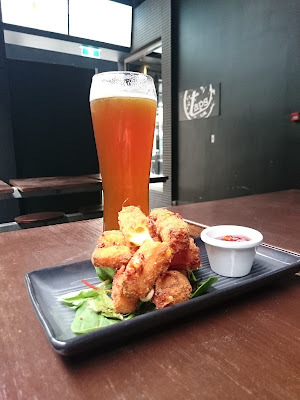 I often drag my girlfriend along to all the craft beer places I go and although a lot of the time it's to eat delicious food as well, my motives are usually to have a couple of beers with lunch. So it makes sense that I should go somewhere she wants to go right? 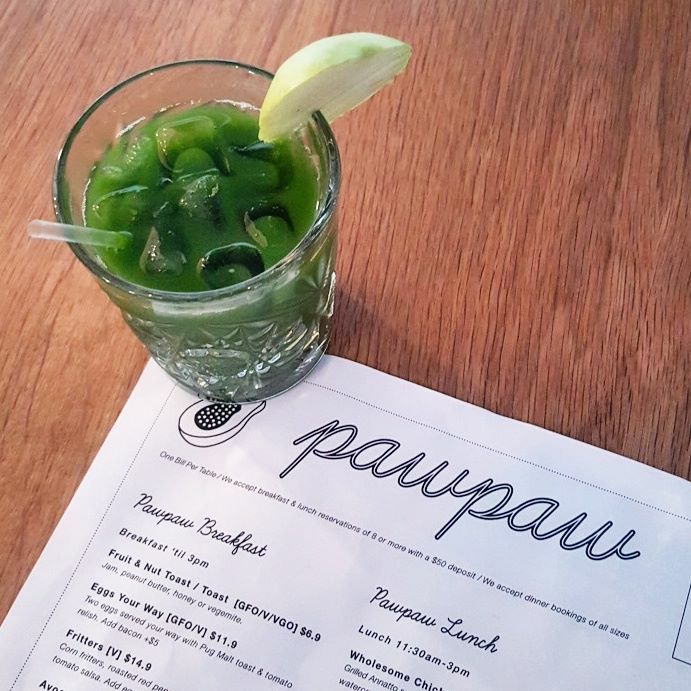 This is case with PawPaw in Wollongabba but it's not like she had to drag me kicking and screaming to a place that serves relatively healthy fare because it's honestly pretty darn tasty! We've been once before for Cocowhip which is super popular because it's basically healthy 'ice-cream' as it's made from coconut water and a coco probiotic, kinda like a frozen coconut yoghurt. But more recently we returned for lunch in which I didn't stray too far from my norm, ordering a braised beef cheese burger and the gf ordered the Avocado Plate with eggs which she enjoyed! My burger was impressive looking with chunks of beef falling out and plenty of sauce and mustard and a big chunk of tomato which worked surprisngly well to carry the flavour of everything. 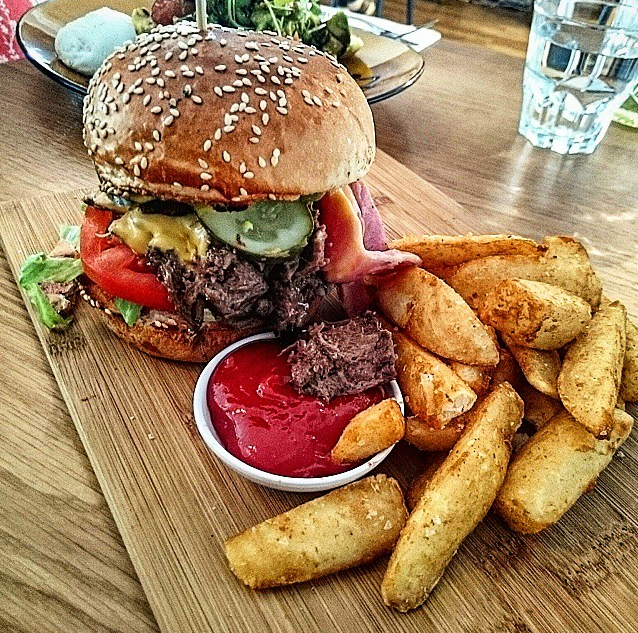 The chips were awesome, who doesn't love huge chunky chips? Would have preferred aioli over tomato sauce but it was all still delicious! PawPaw is a decent spot and now that they've taken over a bigger space in the same complex there is a bit more room but it still gets super busy at peak times and can be a bit warm inside but it's a like-able place to go for a decently healthy feed. 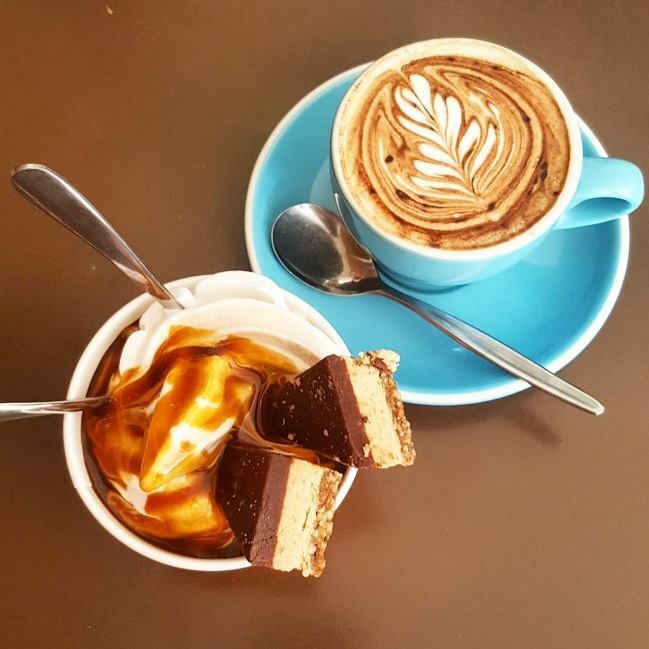 It's really been the year of the doughnut in Brisbane with several new vendors popping up offering hand crafted goodies all with different and in some cases unique toppings. Unfortunately for me my experiences with some of the other franchises hasn't been that positive with large doughnuts being basically just that dough in the shape of a nut and not much else going on. The newest player on the doughnut field is Donut Boyz from the minds behind Hello Harry on the Sunshine Coast which for me has the best tasting beef burgers I've had to date. 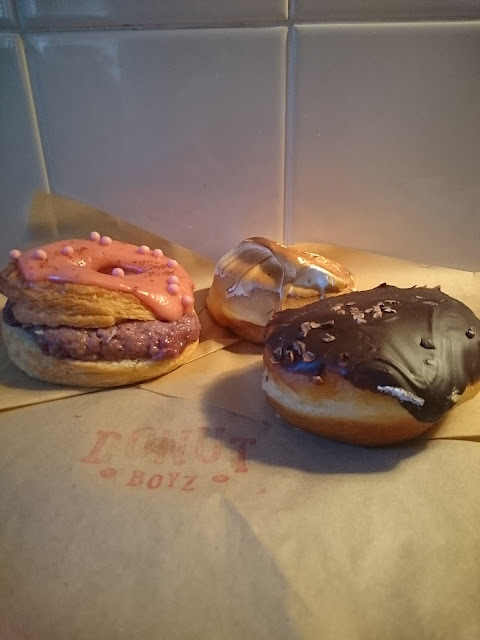 Fortunately for me and everyone else in Brisbane, they are also making some of the best Doughnuts going around with some of the most unique flavours and to top it off they are priced fairly. The first store was opened on the Sunshine Coast at the Big Top but there is now a store in Mooloolaba as well as two in Brisbane at West End and Petrie Terrace. We visited the West End store recently, well if you can call a shipping container outside Boundary Street Markets a store but it is open 7 days a week! We picked up 2 doughnuts, chocolate filled and lemon meringue along with a blueberry filled cronut. The pick for me is the lemon meringue which is odd because I don't like meringue on it's own but it's really soft having only been blow torched not baked and the doughnut is filled with a perfectly made lemon curd that tastes incredible. It cost $15 for 3 doughnuts which may sound like a bit but it would cost you $20 for 2 doughnuts and a cronut from one of the other places in Brisbane. If you like doughnuts you should check it out, I know I'll be back! 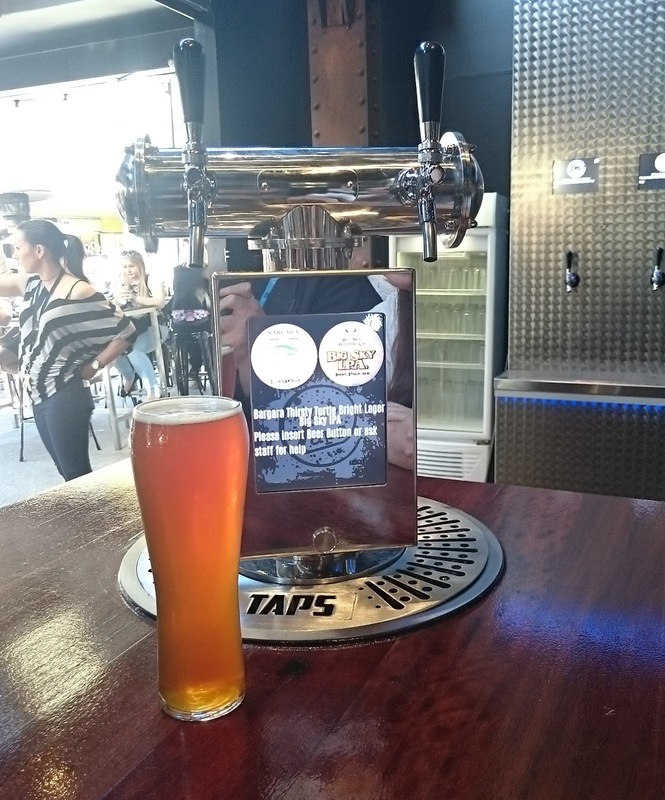 Taps isn't a new concept for Queensland and the Mooloolaba venue has been going strong for a few years now but we are finally graced with the idea in Brisbane, smack bang in the middle of the Valley mall! If you are unfamiliar with the concept though, it's pretty simple! Taps is a venue where you pour your own beer from a solid selection of craft taps at both a wall and at each individual indoor table. What this means is at anyone time there might be anywhere from 10-20+ brews on offer and you can go from table to table and pour from the taps if you wish to try something different each time or simply stick to your favorite. But how does this work, it's not just a free for all right? Correct, that would be insane and totally not responsible.. (but kind of fun..). You are required to purchase a token that you touch to the taps to pour which measures your pour and tells you how much you have left on your token. You can purchase up to around $50 at a time and then have to return to the bar to get more if you aren't done by that point! You can also take the token home with you until the next you come back, its all part of the $5 token price, so even if you leave money on it you can use it next time. The couple of times I've been at Taps since it opened they have had a good selection of Australian beer from Holgate to Six String as well as some local Brisbane breweries (which is great! ), along with a couple of American beers too. 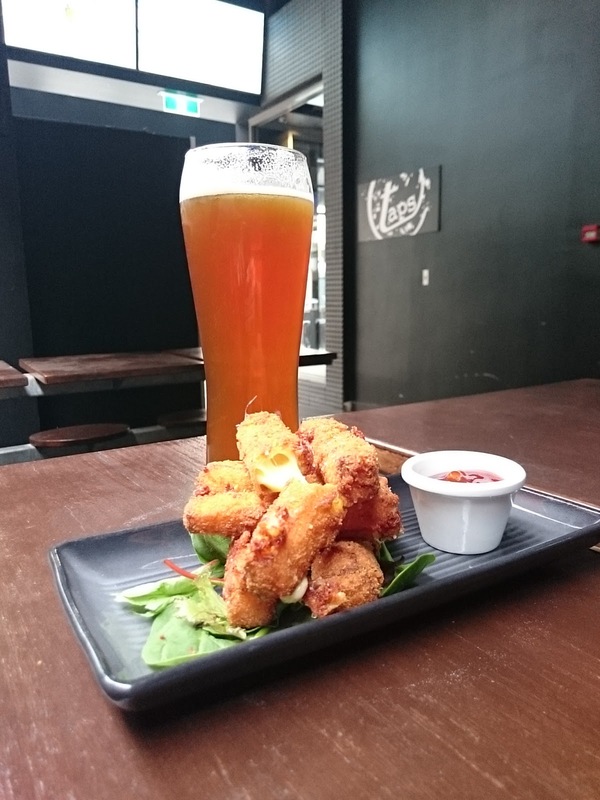 The food consists of pub grub and share food like sliders, calamari, chips and other perfectly matched beer food including one of my favourite things, Fried Mozzarella sticks which are just delicious and go great with an IPA! 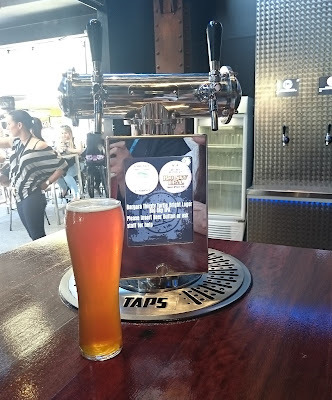 Taps is a solid addition to the craft scene on the mall side of the valley and hopefully they can have some rare craft on and not just some mainstream stuff but it's a far cry from the pubs full of macro lager that existed in the valley even just a few years ago. 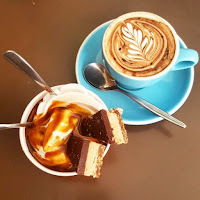 West End is fast becoming an excellent spot for drinking a few brews or enjoying some delicious eats and I'm really loving the vibe it has now, possibly more than any other part of the City. I've said it before but breakfast food is an absolute winner in my books and if you make it an all day affair like Suburban do then it's a double win for me! 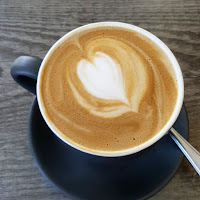 I've dropped into Suburban a few times now both for an early breakfast and later for brunch and each time the service and food have been great with some really friendly staff providing table service. So what sets it apart from everywhere else? 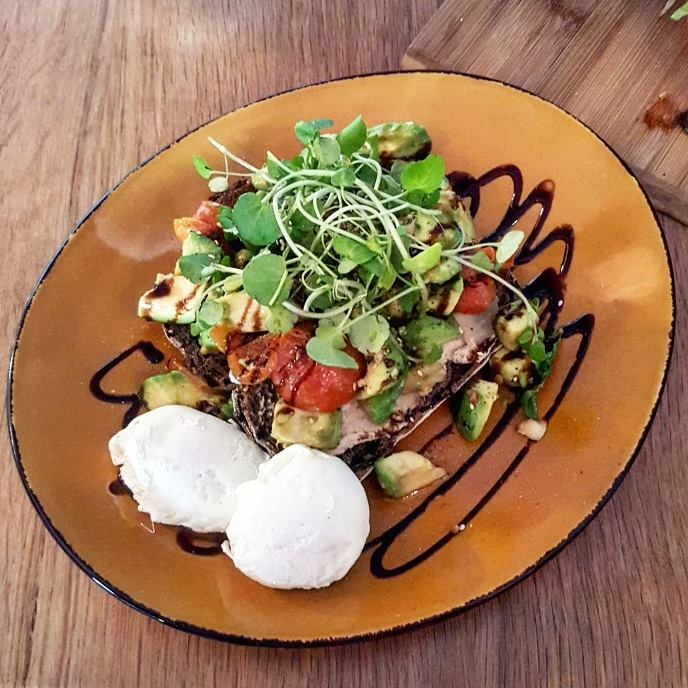 Well apart from Breakfast being served all day they have a huge menu that caters for breakfast to lunch with drinks from standard coffee to giant mugs called Supernova's, fresh juice, Kombucha, milkshakes and even beer, wine and liquor. 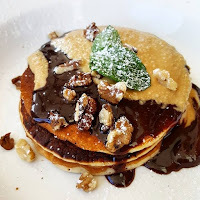 The menu ranges from the huge King's Breakfast which as the name suggests is an indulgent, gluttonous delight with bacon, eggs, haloumi, sausages, thick-cut toast, tomato and a potato, feta and chive hash cake to Buttermilk Pancakes with chocolate ganache and house-made peanut butter. This means there is almost guaranteed to be something on the menu to satisfying anyone! On our most recent visit my girlfriend had Eggs Benedict which comes with a fluffy potato hash cake which is delicious! I went with something different (for a change.) and chose the Baked Egg Shakshuka which is a middle eastern spiced tomato sauce with pulled pork, capsicum, beans, with an egg cracked over the top and served with thick cut sourdough. It was amazing on a cold morning, (well as cold as Brisbane gets..) it went down a treat. 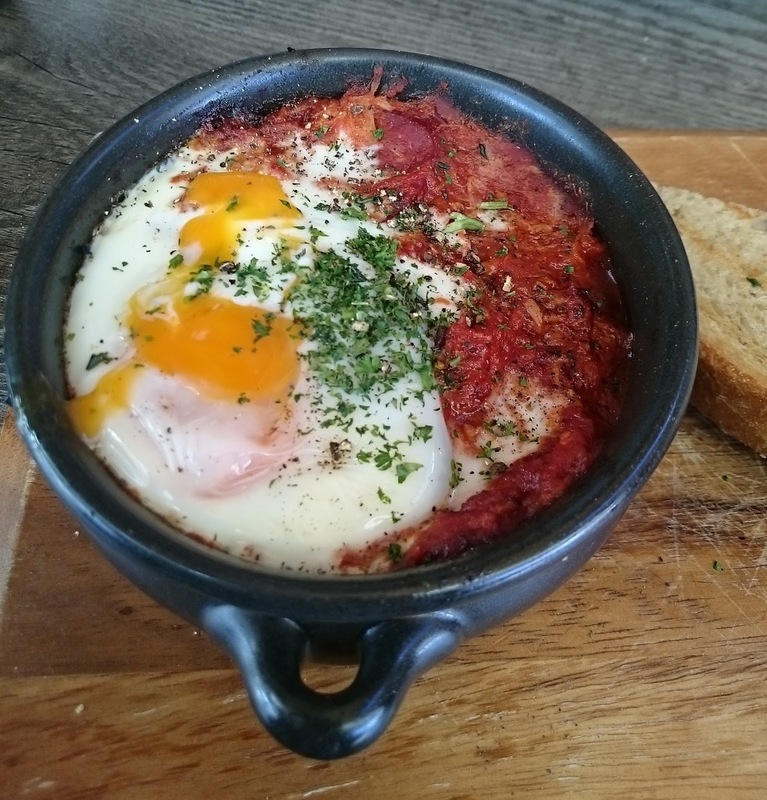 There is just something about spicy tomato sauce with pork and eggs and some toast to sop it all up! 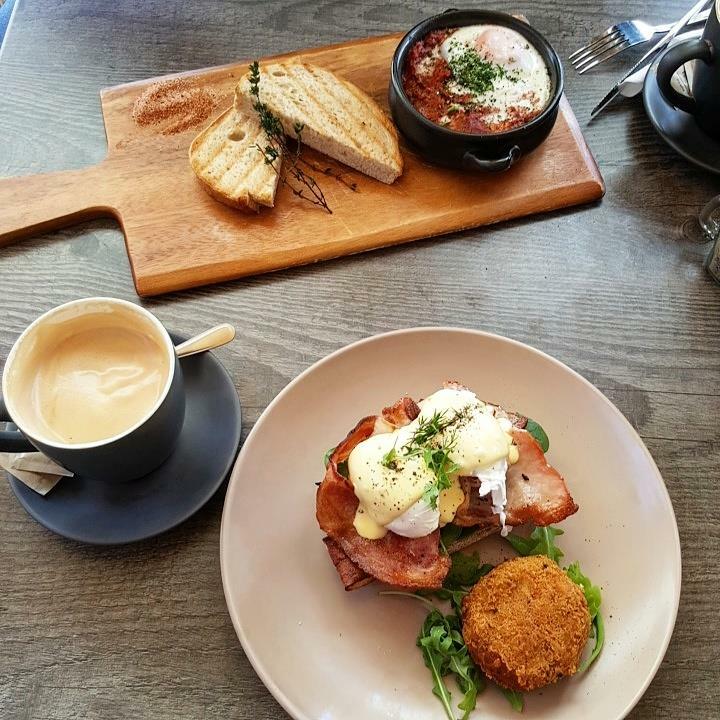 If you like breakfast and you like it all day then check out Suburban, I'm looking forward to trying something different next time!